Dark pasts, intertwined in horror-filled events, though empowered by...love. Once she lands in the middle of nowhere, she realises the camp is nothing like she imagined, and she wants out immediately. That is until she meets Liam. And a little bit about Karice & her novels! I want to start by saying how strong and feisty the lead character; Emma, was. She had all the characteristics I look for in a lead heroine of a novel, and was believable and human; in a way that she didn't make me think, "girls don't behave that way," or "girls wouldn't say that" sort of thing. Emma had a back story, too--a solid one that she was determined would not define her. She was smart and sassy, and had just one weakness. Liam. He was a strong, caring and an independent person just like her and they seemed extremely suited to one another, almost like they were made for each other. Their romance was a huge part of what made this book a winner in my eyes; that, and the plot of a serial killer being on the loose at the camp Emma goes to stay at--she shouldn't even be there, because she was sent for all the wrong reasons. But she doesn't let that, or the fact that there was a killer on the loose, get to her. In fact, she isn't cowering under a blanket or demanding to go home. As soon as I read the ending I was so shocked that I just stared for a few moments at the page, thinking, how did I not know...and where did this leave things? But the ending was perfect, and left no strings untied and no cliff-hangers! Yay! The Alaska Wilderness that Karice described painted an image so vivid that as I read, I got the feel for how it would look like, how it would feel to be there. Karice is a 5-star storyteller and I could praise The Camp all day! It's not like me to guess after a few chapters that I was going to adore the novel, but a few pages in and I was hooked. Nothing could draw me away, not even Twitter. So, I'm going to give The Camp a huge 5-stars (or Cats, given my rating system...) because it is now one of my favourite reads this year. An incredible book from an amazing author! You can buy the incredible "The Camp" here. 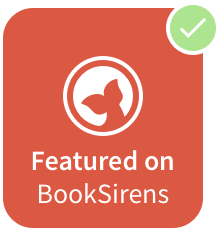 Also check out what everyone's got to say on Goodreads! May 31 | http://prettylittlememoirs.blogspot.com/ | @LittleMemoirs << TODAY! 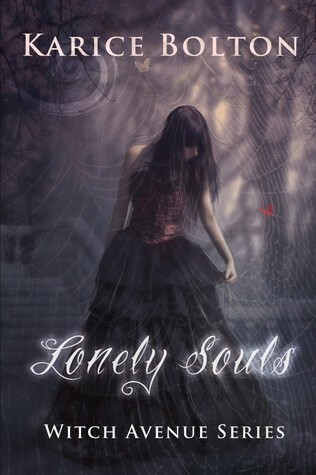 Karice Bolton has written some other awesomely talented novels and you can get her book "Witch Avenue: Lonely Souls #1" for free on kindle! Click here to get it and here to read all about it! To get the info on all of Karice's novels, visit her website for all the latest and greatest. Thank you for stopping by the latest stop on Karice Bolton's book tour & for visiting Pretty Little Memoirs where you're always welcome!